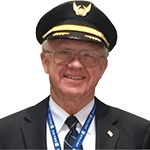 Mr. Klumb is a 42-year veteran of the aviation industry beginning as a first officer in Frontier Airlines. Mr. Klumb continued his career with Continental then United Airlines and is a former Chairman of the Pilots Union. He assisted Mr. Kesselman in the growth of TapJets by assuring all requirements by the FAA (Federal Aviation Administration) were properly met. Robert is also an expert in fleet efficiency optimization and regulatory issues about air carrier operations. Mr. Kesselman founded TapJets to revolutionize the way you acquire private air travel. After 22 years in the Information Technology industry, Eugene has the credentials of delivering enterprise level software products and cloud-based solutions. His technology visionary and executive leadership roles include companies such as Transwestern, SunGard, SAP, Sun Microsystems, and Bank of America. Dr. Andrey is a dynamic leader and a visionary with incredible breadth. 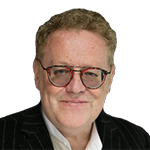 Michael Terpin has more than 25 years of PR agency management. Terpin co-founded BitAngels, the world’s first angel network for digital currency startups, which now has more than 500 members globally. Manny Alicandro is an attorney with broad expertise in compliance, risk management, regulation, controls, surveillance, supervision, and governance. 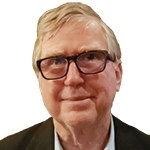 He has worked in diverse leadership roles in alternative asset management, banking, management consulting, electronic markets, trading technology and regulation, and is a frequent industry speaker, panelist, webcaster, and published author. Presently, Manny is Principal of the Law Office of Manny Alicandro where he works with clients on crypto and blockchain projects. Former Captain of United Airlines with 50 years of aviation efficiency and logistics experience. Before retiring from United Airlines Mr. Hans held a rating in every model of Boeing aircraft, and dozens of corporate jet ratings. As former FAA pilot examiner Captain Hans has given private licenses to over 2,000 aspiring pilots. While at United he worked with leadership to improve operational efficiency and operational controls. Captain Hans brings to TapJets a lifetime of aviation experience and his in-depth knowledge of the industry from the air-carrier perspective and day to day safe operations. 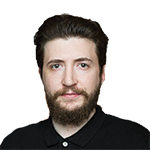 Mr. Baloyan is a founder of X10 Agency, top 5 ICO/STO marketing agencies globally (according to HackerNoon rating), entrepreneur and marketing expert. Mr. Baloyan’s past projects included the role of a Chief Marketing Officer and marketing consultant of several successful blockchain projects and cryptocurrency exchanges. His early experience includes work with transactional giants like LG International. At TapJets, Mr. Baloyan will leverage his expertise in facilitating open dialogue and transparency between the company our clients, and our investors. 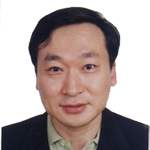 Mr. Bo Fan has 30 years of experience in international investments and entrepreneurship. He has extensive multicultural exposures that include working in China, Japan and the United States. 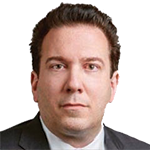 His early career includes Dai-Ichi Kangyo Bank, Itochu Corporation in Tokyo and an international private equity company. Mr. Fan was a member of Houston Mayor's International Trade and Development Council under Mayor Annise Parker. Harvey has enabled companies to become compliant and secure in Sox, PCI-DSS, FISMA, HIPAA, NY Department of Financial Services CRR500 Cybersecurity Regulation, and Privacy Shield. Harvey has enabled companies to become compliant and secure in Sox, PCI-DSS, FISMA, HIPAA, NY Department of Financial Services CRR500 Cybersecurity Regulation, and Privacy Shield, and he is now focusing on the California Consumer Privacy Act, the NYDFS regulation, the EU GDPR and other major privacy laws and efforts. Making the complicated processes in aviation easily accessible by our customers using their mobile app or web takes knowledge of each process required to travel from point a to point b safely. Konstantin takes these complicated processes and converts them into requirements for our technology development team. Every time you use our platform you see this transformation in action. Ms. Kiefer is a seasoned sales professional with close to 10 years in HNW and Luxury segments. With Aviation business development background. As an Executive Vice President of sales in TapJets Ms.Kiefer is leveraging her sales and business development experience to build relationships with NHW clients who are quickly becoming fans of TapJets platform. Ms.Kiefer comes to TapJets from a well respected Million AIr organization with experience in charter and air - carrier services sales. 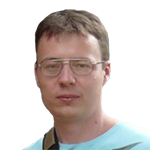 Dmitry is a mobile application creation guru with 15 years of experience. Dmitry has developed over a dozen applications for the travel and hospitality sectors. Vladimir has 13 years of hands on experience in enterprise class software development. Guru of cloud based technologies, big-data analysis and software development that scales to millions of customers makes him a top choice to lead our development team for this highly scalable application. Dr. Ivan Andreev has over 10 years of professional Software Development experience. 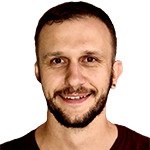 Dr. Ivan Andreev's experience is excellence proven by variety of earned certifications and honors with 8 years as Microsoft Most Valuable Professional among them. Dr. Andreev as a professor and PhD in Computer Science uses scientific approach for development of intellectual software that solves the complexity of aviation logistics. 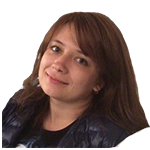 Elena is responsible for the frontend development and customer-centric user experience design of TapJets website. Elena is the subject matter expert on UX/UI solutions and she ensures that designs by the team keep to a vision of the desired end-to-end user experience. Elena has more than 10 years of user experience and software development.